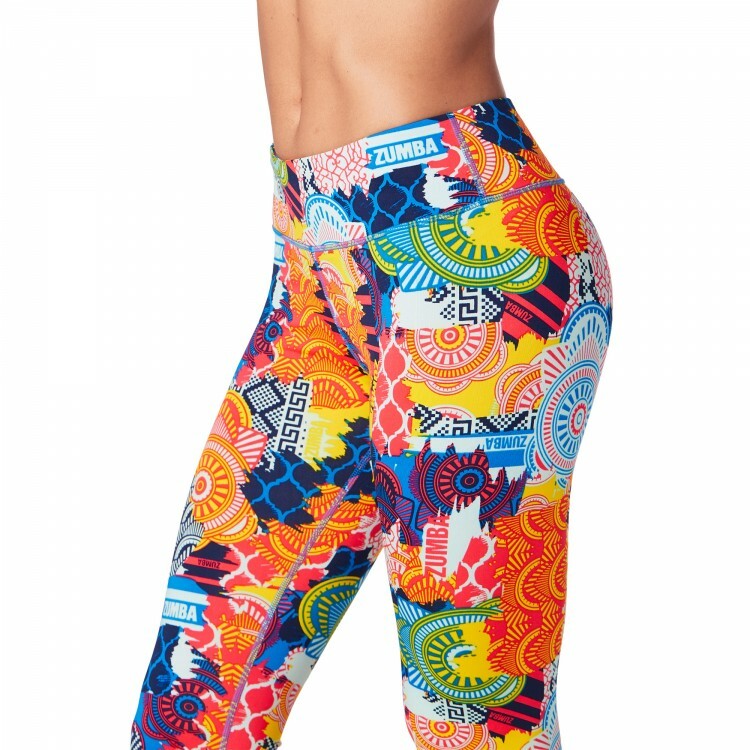 All eyes will stay on you when you rock the Zumba® For All Crop Leggings! 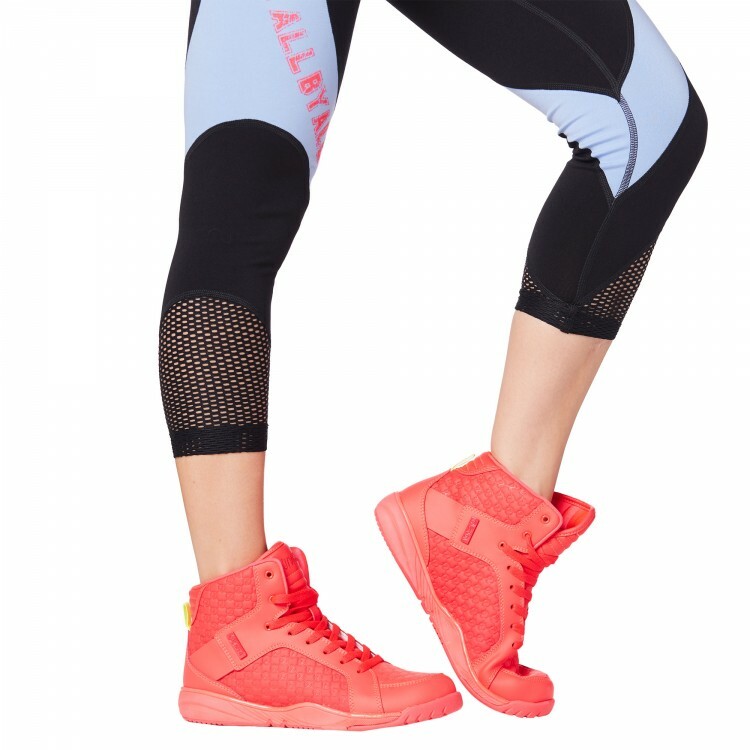 These color blocked stunners feature mesh paneling at the calf and 4-Way Stretch for easy movement. Says "For All By All" on the Right Leg.